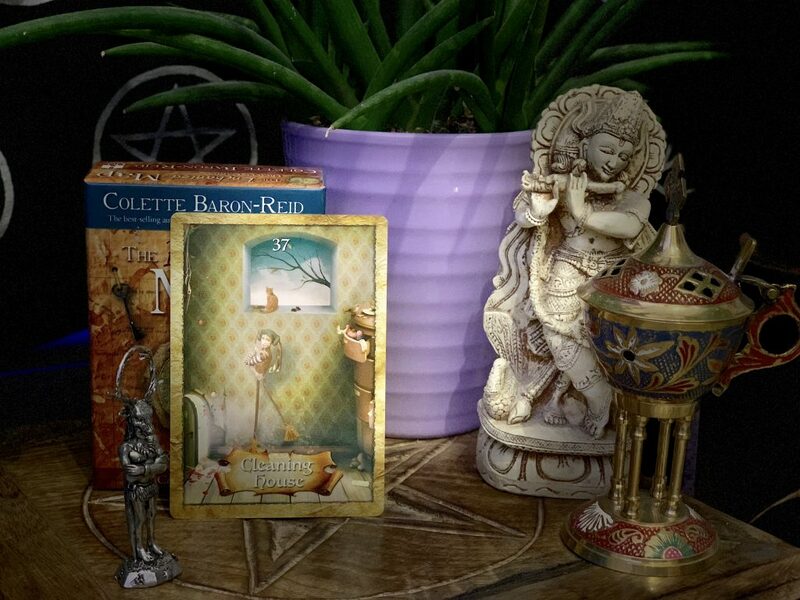 When you see the Cleaning House card in a reading, it’s time to de-clutter your life. Get rid of unwanted things in your physical home, and release what you no longer want or truly need. Is there any unfinished business you should address – thoughts, memories, and emotional baggage must be swept out of your house as well. Your conscience must be clear for yo to move freely in the world. Celebrate a spring-cleaning and feel the freedom as you make way for much better things. Look at what you’ve resisted discarding and be honest about its value. Be honest. Clean house.